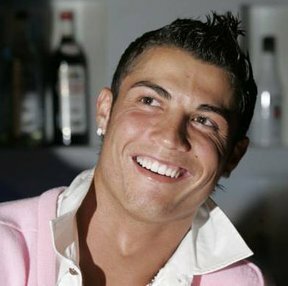 ronaldo wearing ピンク シャツ. he is very nice as always..he is so cute..man i really like his smile..and his skills are amazing..love ya ronnie xxxx mwass. Wallpaper and background images in the Manchester United club tagged: ronaldo. This Manchester United photo might contain 肖像画, ヘッドショット, クローズアップ, ポートレート, ヘッド ショット, and クローズ アップ.